I have resided in Fulton County, Georgia since 1993 and have a second home in Florida. The mayor of one of our primary cities often boasts that the City has not raised taxes in 15 years; however, the taxes levied against most of the properties I appraise have doubled or even tripled over the past 15 years. So how can the City can claim taxes have been stable? I will take the liberty to assume the Mayor is referring to the millage rate as being fairly stable without being increased. Property taxes are a product of the following equation: Market Value * Assessment * Millage Rate (.000). In Georgia, the assessment has been 40 percent of market value for as long as I can remember. The City’s Millage Rate has remained fairly stable, but market values have increased and taxes have therefore increased in tandem with market values. As previously mentioned, I have a second home in Florida. Florida’s property taxes are a product of the same equation: Market Value * Assessment * Millage Rate. However, the state mandates that jurisdictions solve for their millage rate using the budget forecast and their tax digest. Therefore, the property taxes for my second home have been stable after adjusting for inflation. The millage rate however has been erratic. Given the Florida’s real estate cycle over the past decade, it would be impossible for the millage rate to remain the same if the jurisdictions follow state law. Based on the above comments, one may think that if real estate prices spike upward 25 percent in a countywide reassessment, that local jurisdictions in Georgia would be in position to earn a 25 percent windfall in revenue. However, the 2017 valuation increase in Fulton County resulted in numerous appeals, many of which will likely result in value reductions. Many commercial property owners only appeal their taxes following a sharp increase. Based on my 32 years of experience as a commercial real estate appraiser, it is a good practice to appeal tax valuations in downward markets as well as upward markets to help limit over taxation. 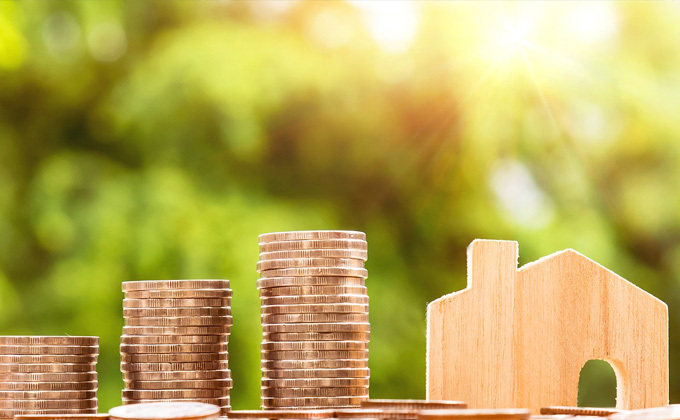 This is a costly endeavor that increases a property’s general and administrative expenses, but the tax savings should result in a higher net income.